It shouldn’t surprise me, but it does, how many people want to rob and enslave others based on “what if?”. Yet, that’s what I see every day. They believe in the DMV’s “job” because, otherwise, “what if” someone doesn’t know how to drive? Or steals a car? Or doesn’t have insurance? Gotta love those cops, because without them, “what if” some freelance bad guy steals a fraction of what is stolen to support the State? “What if” you tried to use your property in a way the town council decided you can’t be allowed to? Or “what if” someone (who isn’t a cop) physically attacks you? Or “what if” someone wasn’t there to take pictures of your murdered corpse? “What if” you drove as “irresponsibly” as the police do? Who could force you to pay the government for this crime? Prohibition, anti-gun “laws”, speed limits and seat belt “laws”, are all supported because “what if” someone got hurt because no one was there to force you, at gunpoint, to do things the State has decided you should do, or to stop you from doing things the State has decided you can be murdered for doing? To me, it looks like ethical weakness and cowardice. In every case. It’s all I see in “laws” or government. 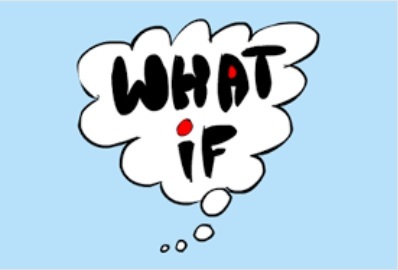 I will never advocate robbing or enslaving you for a “what if”. I’m not that pathetic.